Reviews are important. Customers often look at the average star rating, and the number of reviews a book has, before buying. But getting reviews isn't easy. For my last several ebook releases, I gave away free copies to fans in exchange for reviews, but this is time-consuming and labor intensive. 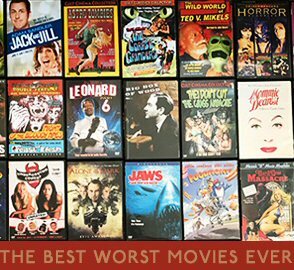 Now there's an easier, quicker solution to getting reviews that doesn't require having thousands of fans or begging friends and family. BookRooster.com is a community of over 2,200 passionate readers/reviewers drawn from BookLending.com and other Kindle reader communities. They organize the distribution of review copies of your novel (in MOBI format for Kindle) to reviewers in exchange for their objective Amazon customer review. I became aware of them about two weeks ago, and gave the service a try for my ebook Flee. (Disclosure: Catherine let me try their service for free.) So far Flee has accrued over twenty new reviews in the last few days, and has climbed considerably in the Top Rated rankings for Police Procedurals and Romantic Suspense. The service costs $49, making it an affordable solution for authors who would like to have more reviews. 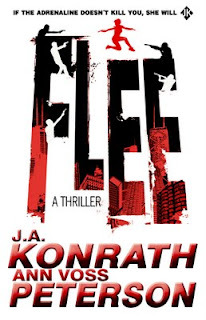 If you read some of the reviews of Flee, you'll see they're honest and mostly well-written, and many of the reviewers hadn't ever read my work before, and have said they'll go on to read more of it. So BookRooster doesn't just offer reviews, it also can potentially widen an author's fanbase. I asked the founder, Catherine MacDonald, a few questions about BookRooster, and she graciously responded. Joe: Where did you come up with the idea for BookRooster? Catherine: As the founder of Kindle lending community BookLending.com, I have had the chance to talk to authors and readers and to learn about the Kindle publishing ecosystem. Some informative blogs and articles (your blog, of course, is at the top of my list) brought me up-to-date with the upheaval is happening in publishing. Then, as a reader starting to read books by indie authors for the first time, I began to realize how many fantastic books are not getting the readers they deserve. It seems that customer reviews are key to ensuring that books get discovered by other readers. While authors sometimes struggle to find readers, there are huge numbers of passionate readers looking to discover new books -- over 26,000 of them on BookLending.com alone! I had seen authors use various approaches to find reader-reviewers and it just made sense to draw on the enthusiastic community of readers we have to create an easier way for authors to get their books to prospective Amazon customer reviewers. Joe: Do you believe reviews help sell books? Catherine: I think good books sell books, but sometimes good books don't get the attention they should, and that's where reviews come in. As a book buyer, I rely on reader reviews, and so I think that it's important for a book to have enough objective reviews so that readers are able to decide whether or not they are likely to enjoy it. Joe: Can anyone join and review books? Catherine: Any reader with an Amazon account can submit her name, email address and preferred genres. Depending on demand, she'll begin receiving invitations to review books within a few weeks. Joe: How long is the wait for authors who would like to use this service? Catherine: Right now, we're booking review copy distribution beginning the third week in July. Many authors book their spots in advance; we can be flexible about dates as the release date approaches and authors can forward specifics about the book, as well as the file itself, as they become available. Joe: Is there any policy for dealing with reviewers who reveal spoilers, or are flat-out abusive? Catherine: Our reviewer guidelines mirror Amazon's customer review guidelines. We read all the reviews written by BookRooster.com reviewers and it's safe to say that if a reviewer breaches Amazon's guidelines by revealing spoilers without warning or posting a dishonest review, he or she would not receive review copies through BookRooster.com in the future. Joe: Besides Amazon, do you encourage reviewers to post elsewhere, such as Goodreaders, Smashwords, or B&N? Catherine: Not at this time, but it's a definite possibility in the future. Joe: As you accrue more reviewers, do you anticipate BookRooster raising its prices? Catherine: We launched with an introductory price of $49 because we appreciate that this is a new and untested service and we wanted to give our "early adopter" authors an extra good deal to thank them for jumping in with us. Given the amount of work that goes into administering the service, we will likely be raising the price by $10 to $20 sometime soon so that we have some breathing room to develop new features and hire administrative help. Joe sez: Considering how obsessive some authors are about reviews, and how essential it has become to have reviews, this is $49 well spent. But keep in mind that neither BookRooster nor its reviewers promise to leave glowing praise. If they don't like your book, they'll say so. Also, I believe this service is different than something like Kirkus Reviews of the new PW Select, where gullible authors pay lots of money for a single review in those journals. As I stated earlier, I always give out free copies in exchange for reviews. That's the same thing legacy publishers do, giving away galley copies. BookRooster just makes it easier.